Portland Zagat Guide Giveaway Winner! Since we didn't get to #5 the closest #4 is the winner. 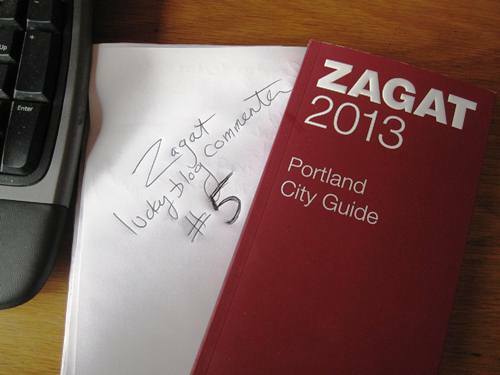 Congratulations Mr. S. I'll be in touch about your winning copy of Portland's first very own Zagat Guide. Thanks for all of your comments. I'm looking forward to checking out some of those brunches. Happy Monday!